Rebecca Sharp, the first of two fillies to win the Coronation Stakes for owner-breeder Anthony Oppenheimer, was put down on Thursday at the age of 23. Fiona McGlone, stud secretary of Hascombe and Valiant Stud, paid tribute to the mare: "She was 23 and old age caught up with her. She was a big part of the stud here - a favourite mare of Mr and Mrs Oppenheimer and all the staff here. She had a lovely temperament." Foaled in 1994, Rebecca Sharp was an early flagbearer for her sire Machiavellian and out of the Listed-winning Nureyev mare Nuryana, who in turn was out of a half-sister to 1982 1,000 Guineas and Sussex Stakes winner On The House. Oppenheimer's crowning achievement in breeding has surely been the champion Golden Horn, whose dam Fleche D'Or is a half-sister to Rebecca Sharp. Trained by Geoff Wragg, who also sent out Oppenheimer's other Coronation Stakes scorer Balisada, Rebecca Sharp had her first three starts at Newmarket, impressing in a fillies' maiden in the spring before finishing 13th to Sleepytime in the 1,000 Guineas. It was to be the first of six consecutive starts over a mile, a trip over which she excelled, showing a turn of foot to win the Coronation Stakes at Royal Ascot. 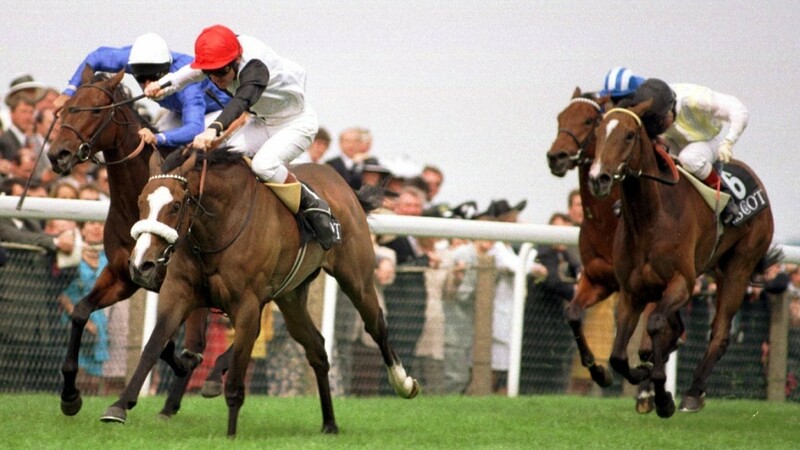 She also finished second to Air Express in the Queen Elizabeth II Stakes at the same course in the autumn. She placed twice more in Group 2 contests - to Daneskaya in the Prix d'Astarte at Deauville and to another daughter of Machiavellian, Kahal, in the Challenge Stakes at Newmarket. Rebecca Sharp was admirably consistent in her broodmare career, producing six winners from seven runners, including Miss Pinkerton, a winner of the Listed Atalanta Stakes at Sandown and Grand Central, who placed in two Classic trials in Ireland.